Tribal designs are very popular in graffitis, tattoos, and other common venues of art. This time, I will be introducing another canvass where tribal art can be applied and where fashion gets a makeover. 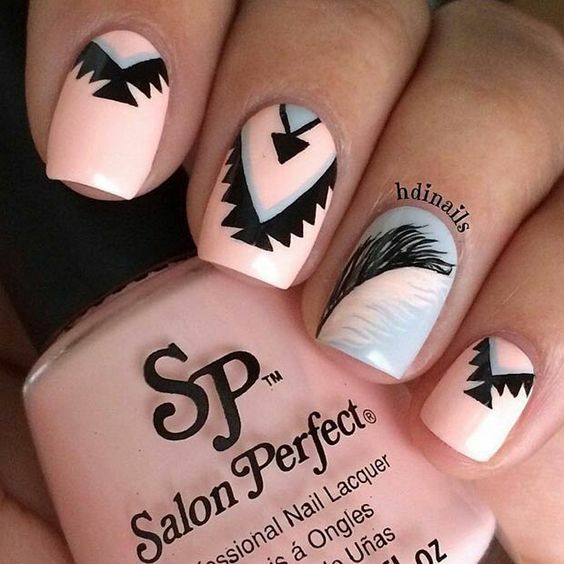 Tribal art in nails is rather unusual since the art is usually associated to men while nail polishing is for women. However, the end results clearly show that nothing is exclusive when it comes to art. 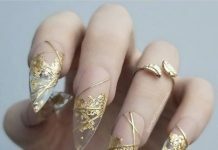 Tribal nail arts are festive and very grounded to traditions. Zigzags and stripes are very dominant with this technique and that is where unique strokes of art are applied. Most of the samples use the traditional black and white combo while a lot others incorporate pastel and lively colors into each layers. 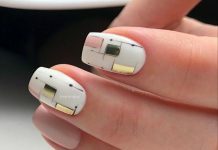 Personally, I see the tribal nail designs as remnants of the native american art. 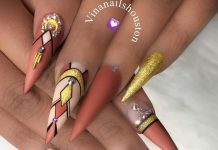 Enjoy the 42 Splendid Tribal Nail Designs collection below.